Good Evening & Welcome to Modern Combat Masters, presented to you by DocRadio International, in association with DocMagazine.net, Tonight's Host Grand Master Darrell Sarjeant along with his Co-Host & Executive Producer Kancho Daniel J. Vena are proud to have GM Mark Tracy as our featured guest on tonight's program. Imagine a martial art that has been developed and perfected for centuries. It has a Chinese Heritage and finds itself traveling though Japan for centuries. Practitioners used the art to protect their families and themselves. As times are dangerous and violent today they were also centuries ago. Kenpo found its way to Hawaii and Grand Master James Mitose taught William Chow. Training was very hands on and practical. A young Ed Parker learned from William Chow. Ed Parker opened a karate studio in Southern California . The three Tracy Brothers Al, Will, and Jim trained with Ed Parker. Great Grandmaster Al Tracy said about Ed Parker " I had many instructors and Ed was the best instructor I ever had. 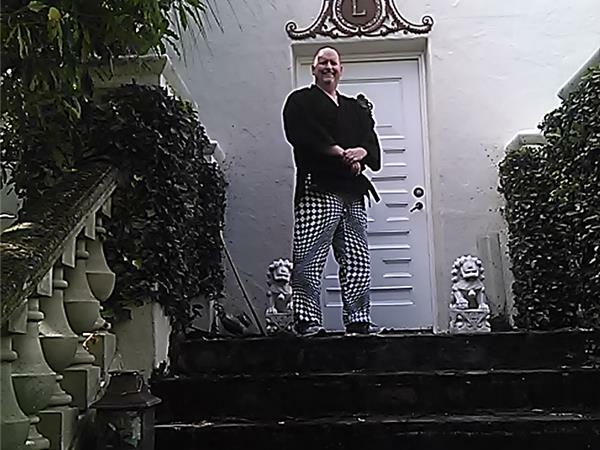 After running Ed Parker's studio for years, Al and Jim Tracy opened a karate studio in San Francisco as they attended San Francisco State University. The Tracy Brothers gave names to the self defense moves. Colored belts were introduced to the system. The martial arts was a very small community back then. A young Bruce Lee would come over to the studio in San Francisco. Tracy's Karate opened studios in Sacramento and San Jose, Ca. This lead to franchising Tracy Karate Studios over The United States and Canada. The Tracy's Karate fighting teams dominated. Over 500,000 students have learned Tracy's Kenpo Karate.